The Christian Church was against against abortion from the earliest days (see The Fathers on Abortion). It can be something of an embarrassment, then, for Christians to discover that the views of the Church’s greatest theologian, Thomas Aquinas, have been used to support abortion. The specific view in question has to do with Aquinas’s statement that God created the rational human soul in the body sometime after conception: namely, 40 days for males and 80 or 90 days for females (Commentary on the Book of Sentences, Bk. III, d.2, q.5, a.2, resp). Thus, it is argued, early abortion for Aquinas would not be murder, because what was being killed was not yet human. But would Aquinas agree that this modern position is a legitimate conclusion from his beliefs? I will argue that he most certainly would not. The first thing to realize is that that Aquinas wrote prior to the age of modern scientific methodology (he preceded even Roger Bacon) and technology. Natural science at the time was often more akin to what is more narrowly defined as philosophy today. Empirical data was lacking, and so the timing of “ensoulment” (the coming to be of the rational soul in a body) was based on simple observations. 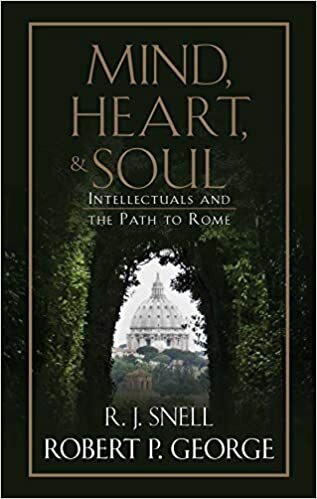 When Aquinas stated that the rational soul came to be in the body at 40 or 80/90 days, he was merely following Aristotle (History of Animals Bk. 7, pt. 3). Now, conclusions follow from principles joined to particulars, for example: “All men are mortal” (principle), “Socrates is a man” (particular), therefore “Socrates is mortal” (conclusion). Both principle and particular must be true for the conclusion to follow as necessarily true. Thus, to conclude based on Aquinas’s mistaken trust of Aristotle’s particular position on the timing of ensoulment that he would agree with the early abortion advocates’ conclusion would fail without showing that it would follow from Aquinas’s principles and the confirmed particulars of modern science. Aquinas got his “particulars” from the common science of his day. He applied his philosophical principles to the particulars supplied by authorities in other disciplines. Mistakes in Aquinas’s conclusions (or illustrations) are often traceable to the mistakes of the “scientists” he relied upon for particular facts about nature etc. The combination is sometimes difficult to distinguish, but it is important here – for if Aquinas were supplied with today’s accurate scientific particulars then it is probable that he would not believe in post-conception ensoulment. In brief, Aquinas taught that male sperm combined with female (menstrual) blood and acted upon it as a formative power that produced first a body with a “vegetative soul” (i.e., one that was alive but not sentient). Then, once the material was organized to a sufficient degree the vegetative soul was replaced by an “animal soul” (i.e., one that was sentient but not rational). Once this body had become sufficiently organized it could then receive a “rational soul.” It was at this point that God would specially create what we today more commonly refer to as a “soul” (i.e., a human soul) for the body and the fetus would be fully human. Again, this was said to occur around day 40 for males and 80 or 90 for females. Today, however, we know that the sperm is not just an organizing power – it makes up the material cause of the body as well. Further, menstrual blood has nothing to do with the process, but rather the ovum – which is also a material cause of the body. Once the two are joined both cease to exist, however, with no remainder. Thus, on Aquinas’s account whatever life-giving principle grows this new unity into a full-grown human body must be present immediately. Now, there is a lot more detail to Aquinas’s position (see SCG 2.88, and Haldane and Lee) – but in reality the more detailed one gets, the more problems for a post-conception ensoulment become. Thus, although Aquinas’s philosophy might exclude the traducian view of conception, his principles would, in light of modern scientific knowledge, seem to lead him to view conception and ensoulment as twin features of the single event of human creation. Thus, any abortion would indeed be murder. Aquinas never really deals with abortion per se, but he does have a few things to say that bear upon it implicitly. Elsewhere, Aquinas writes concerning whether or not a woman should be “opened up” to permit the baptizing of a pre-born baby whose life is in danger that it should not be done because murder is not excusable to save another life (ST III, q.68, a.11). The point for this discussion is that the infant was indeed considered to be alive and, virtually, able to be baptized. NOTE: At the very least the act of abortion would remain a grave sin even if it was not seen as the murder of a human being. 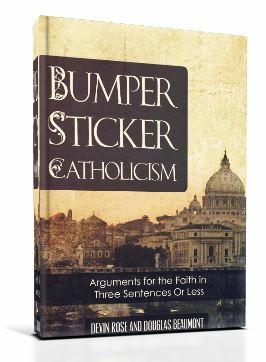 Following from the Church’s view that the materials of human life garnered respect as such (and hence, the Church’s prohibitions against masturbation and contraception), an abortion would still be destroying that which was to become a rational animal (cf. Augustine on Abortion and Ensoulment). Despite what some may think could be done with Aquinas’s position on the timing of ensoulment, given Aquinas’s principles it seems clear that Aquinas would not conclude the same things given today’s science. In any case, however, was in line with the Church on this issue – and thus it would be illicit to ascribe any kind of pro-abortion stance to him. Thus, based on application of Aquinas’s principles to modern knowledge of conception’s particulars, his actual statements that touch on the issue of abortion, and the reaction of the Church to the modern scientific understanding of conception, it is safe to conclude that Aquinas cannot legitimately be used to bolster a pro-abortion stance. ← Can the Grammatical-Historical Method of Interpretation Determine Christian Orthodoxy?